Happy St. Patrick's Day! This year, I'm taking a break from Tipsy Bartender to share food and drink ideas from WXYZ. I just needed a change of pace and ideas from local sources fit the bill for a Detroit-based sustainability and entertainment blog. Fortunately, WXYZ had four food and drink clips just from this week. I begin with St. Patrick's Day Drinks. Follow over the jump for the food and dance. The food ideas begin with How to make Irish Soda Bread. The soda bread appears in the next food clip, Secrets to make an Irish Breakfast before St. Patrick's Day celebrations. "Eat breakfast like a king, lunch like a prince, and dinner like a pauper" -- that's not bad advice. The last food idea is for dessert, How to make Bailey's Crème Brulee for St. Patty's Day. Now, the dance, Motor City Irish Dance Co. stops by Broadcast House for St. Patrick's Day performance. This performance was from 2017, unlike all the other videos posted the week of St. Patrick's Day 2018. I might return to Tipsy Bartender next year. 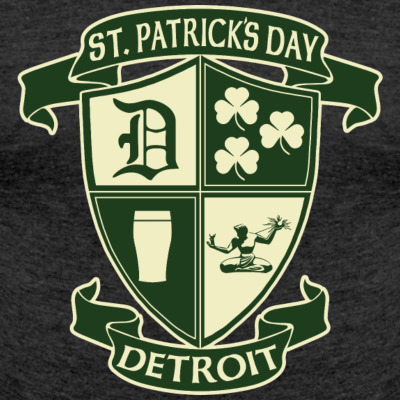 Until then, Happy St. Patrick's Day from Detroit! *I posted the drink video in a comment at Booman Tribune. For the music video, I used "Beautiful Day" by U2 instead of the Motor City Irish Dance clip -- different audience with different expectations.